The qualifiers for the 2020 European Championships began last week as Ukraine prepared themselves for a difficult task in Group B. Paired with Portugal, Serbia, Lithuania and Luxembourg, the Zbirna were looking to qualify for their third consecutive appearance in the tournament. Ukraine opened their qualification campaign with two difficult road matches in Portugal and Luxembourg, but a resilient Zbirna earned an impressive 0-0 draw against the Navigators and defeated the Red Lions in stoppage time. The results mean Ukraine sit at the top of Group B, and they will look to add to their lead as they face Serbia and Luxembourg in June. Their hard work could be undone, however, due to a technicality in FIFA’s rules on the naturalisation of players. Following the international break, the football federations of Portugal and Luxembourg filed a protest to UEFA, arguing the Zbirna fielded an ineligible player. They argued that Brazilian-bornJúnior Moraesdid not spent enough time in Ukraine to be granted citizenship, and have demanded the Zbirna be punished for their actions. What are FIFA’s naturalisation laws, and how would this affect Ukraine’s efforts toward qualifying for Euro 2020? According to Article 7 in the August 2018 publication of the FIFA Statutes, footballers can acquire a new nationality upon request. There are four methods where this can occur. The player in question must have been born in a territory that is associated with the country in discussion (for example, a British footballer may play for a British Territory such as Bermuda or Gibraltar); the player’s mother or father must have been born in the country being discussed; the grandmother or grandfather must have been born in the aforementioned country; or the footballer must have continuously lived in the discussed country for at least five years after reaching the age of 18. In the case of many foreign players, the fourth option is typically how footballers have obtained the citizenship of their adoptive countries. There are additional steps, however, before the footballer can play for a new national team. According to Article 8 in the FIFA Statutes, FIFA must approve the player’s change of association. In this case, the player must submit a written request to the FIFA general secretariat to gain permission to play for the adoptive country. The Players’ Status Committee then reviews the request, and during this period, the footballer is not eligible to play for the country in question until the request has been processed and approved. During the review process, FIFA and the Players’ Status Committee also consider all relevant laws of the country in question before declaring their verdict. Once they have reached their decision, the outcome is final. A player cannot file a second request for review. Naturalisation, especially of Brazilian-born players, is not a new phenomenon. Famous examples include Diego Costa, who took on Spanish citizenship while playing for Atlético de Madrid. Costa competed with the Red Fury throughout the Euro 2016 qualifiers and in the 2018 FIFA World Cup. Pepe was born and raised in Brazil. At 18, he moved to Portugal to play football, and he eventually took Portuguese citizenship. He played for the Navigators at the European Championships in 2008, 2012 and 2016, and in 2010, 2014 and 2018 FIFA World Cups. Outside of Western Europe, other examples include Ari, who took on Russian citizenship, and Renan Bardini Bressan, who plays for the Belarussian national team. Ukraine also had their fair share of Brazilians, as they naturalised Edmar and Marlos. Edmar, Ukraine’s first naturalised Brazilian player, arrived in Ukraine in 2002. At that time, Edmar competed with Ukrainian club Tavriya Simferopol. He then played for Metalist Kharkiv, Dnipro Dnipropetrovsk and Metalist 1925 Kharkiv. Moreover, the Brazilian-born midfielder married Ukrainian Tetiana Halovska in Simferopol in 2008, thus fully assimilating into Ukrainian culture. The Brazilian even altered a portion of his name, adopting Halovskyi (the masculine form of Halovska) as part of his surname. Similarly, Marlos has been in Ukraine since 2012. During this period, the Brazilian-born midfielder played for Metalist before signing for Shakhtar Donetsk in 2014. Marlos has since won the Ukrainian Premier Liha twice, and the Ukrainian Cup and Ukrainian Super Cup on three occasions. Finally, he was named as one of Ukraine’s top footballers in 2017. Júnior Moraes, however, is a different story. Unlike Edmar and Marlos, who have remained in Ukraine since their initial arrival, Moraes has not been in Ukraine for one continuous period. The Brazilian-born striker first arrived in Ukraine in July 2012, where he played for Metalurh Donetsk. He then was sold to Dynamo Kyiv in July 2015. The controversy lies with his time at Dynamo. During the 2017 Winter Transfer Window, Moraes went on loan to Chinese club TJ Quanjian in February 2017. This meant that Moraes had only spent a total of four years and seven months in Ukraine. 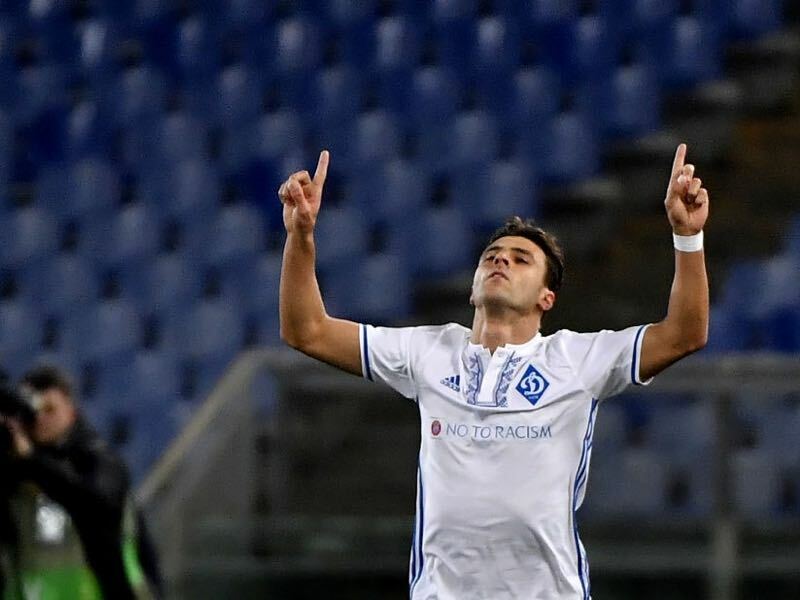 Moraes subsequently returned to Dynamo in June 2017 and was sold to rivals Shakhtar Donetsk in July 2018. With this in mind, Portugal and Luxembourg are arguing Moraes did not spend five continuous years in Ukraine. Therefore, they believe he should be deemed ineligible for the Ukrainian men’s national team, and their protest was filed to UEFA for further investigation. Should Ukraine be found guilty of fielding an ineligible player, the consequences could be quite severe. Minor sanctions would include a financial fine and a firm warning. The more likely punishment, however, would see Ukraine lose the points they earned from their opening two European qualifiers. In other words, Ukraine would have to forfeit these matches, and Portugal and Luxembourg would be awarded 3-0 victories. This would mean Ukraine would start their Euro 2020 qualification campaign with two losses and a goal differential of negative six. Following the announcement of Portugal’s and Luxembourg’s appeal, Yuriy Zapisotskiy, the General Secretary of the Football Federation of Ukraine, issued a public statement on Thursday. Zapisotskiy argued the FFU had consulted with experts from UEFA and FIFA, and during these discussions, the experts determined Moraes’ invitation to play for the Ukrainian national team would be legitimate. Zapisotskiy stated the FFU had gone through the appropriate motions to grant Moraes Ukrainian citizenship, and the General Secretary urged Ukrainian fans to remain calm until the final verdict had been reached. At this time, the FFU has yet to produce documentation proving their innocence. Zapisotskiy and his colleagues, however, feel confident about the situation. Given FIFA consider relevant laws of the country in question during the naturalisation process, there is a possibility Moraes could be exonerated. While Article 7 states a player must continuously reside in a country for five years, FIFA does not specify what it means to be continuous. The Ukrainian citizenship law, however, clearly defines this nuance. According to Article 9 of the Citizenship Law of Ukraine, in order to be considered for Ukrainian citizenship, a person cannot leave the country for more than 90 days at a time, or for a total of 180 days a year throughout this five year period. Moreover, the Citizenship Law provides exceptions for individuals who depart Ukraine for assignments or business trips. Moraes was on loan to TJ Quanjian from February to June 2017, a period of 131 days. He was, however, still under contract at Dynamo Kyiv, and the loan had a designated termination period in which he would return to Ukraine. Therefore, it can be argued Moraes’ loan spell would qualify as an “assignment” under Ukraine’s citizenship law. Should this be the case, Moraes did not violate any provisions in the Ukrainian citizenship law, and was thus naturalised appropriately. Given the information above, it will require one’s interpretation of the law to determine the final verdict on Ukraine. Zapisotskiy and the FFU have claimed they did not violate any provisions while naturalising Moraes. If this is not true, however, then Ukraine will face a severe penalty. If this were to occur, it is shocking the FFU did not consider these potential consequences prior to making their decision. Should Ukraine be found in violation of the FIFA Statutes, the FFU will have no one to blame but themselves. This would be a travesty, as they will have undone their hard work in the first two matches of this qualification cycle. One could argue Portugal and Luxembourg are sour for not having earned better results against the Zbirna. After all, Portugal are likely disappointed for being held to a 0-0 draw while Luxembourg will feel undone in their loss as they conceded a last-minute own goal. Moreover, one could argue Moraes, who did not score in either encounter, did little to influence the match, and that it was a team effort by the Zbirna that saw them earn four points from a possible six in these two qualification matches. In other words, the performances should speak for themselves, regardless of who was on the pitch. Nonetheless, rules are rules. If Ukraine are deemed to have violated the rules outlined in the FIFA Statutes, they will be punished. Nothing is final. Given the specifications in the Citizenship Law of Ukraine, the FFU could argue Moraes was on an assignment in China while under contract at Dynamo. In addition, according to General Secretary Zapisotskiy, the FFU undertook the necessary protocols to request the naturalisation of Moraes. If this is the case, then Ukraine did not violate any provisions outlined in the FIFA Statutes. If they are unsuccessful, however, Ukraine have at least one saving grace. The Zbirna won League B’s Group 1 in the UEFA Nations League, thus granting them a place in the Euro 2020 playoffs. While the playoffs do not guarantee an automatic place in the finals next summer, it will at least spare them some of the blemishes in a potentially poor decision. UEFA, who announced the claims were filed by Portugal and Luxembourg to UEFA’s Control, Ethics and Disciplinary Body on Wednesday, will announce their verdict at a later date. At this time, the final date has not been determined. Futbolgrad’s Vadim Furmanov contributed to this report.